The bread and butter of New Testament studies is finding out how a word is used elsewhere. Usually this means looking it up in a good lexicon, but a real scholar does a word search. This has recently got a whole lot easier. TLG and Perseus are still the best sources, but now there are new ways to use them, including instant lexical help which isn't restricted to the speed of the web. Whether you want to do word searches throughout all Greek literature, or you just want to quickly look up a Greek word now and then, read on. 1) TLG - 'All' of Greek literature. In Greek. TLG - ie Thesaurus Linguae Graecae contains 'all' of Greek literature by thousands of authors, including 122 from the 1st C AD and 167 from the 2nd C AD. It contains all Greek literature from earliest times till AD 600, and most literature up to 1450. It is still growing, though I fear it will never catch up with itself. As far as Biblical Studies and early church history is concerned, it is complete. 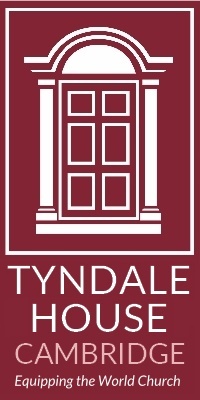 Tyndale House used one of the original Ibycus computers built especially for TLG, with right-to-left Hebrew on the screen together with Greek and English. It was purpose-built and extremely fast, even by today's standards. Then it was converted to CDs for other computers, with a variety of software, before it moved to the web where it has its own fairly good & fast search engine. But now things are getting faster again, in some ways, thanks to Diogenes (see below).See more history. TLG is not free, but most institutions with Classics or Bible departments subscribe online. If you aren't near one, an individual licence is about $100 pa.
Use the Unicode fonts. These work without installing and copy & paste into your documents. To search for a word: Click on "Full Corpus.. Advanced"
Before you search, highlight the centuries you want (click on the first, hold Shift, and click on the last), and tick "varia" because this includes the Septuagint, then click on "Search", then "Search All". Click on the typewriter symbol to type Greek letters. Type the word and click on "Word Index". Tick the verbal forms you want and click on "Selected Words". 2) Perseus - the earliest Greek literature, with English. Perseus specialises in ancient Greek sources and is not as complete as TLG, but it covers all the main texts, and most of them have English translations available. It also includes papyri, which are NOT covered by TLG (but searching is broken at present). It is hosted at various sites, the best of which is Tufts who now have a new version 4. If you want to host your own, you can download the texts and programs, but you'll need a good Java programmer to install them, and a fast server to host them. Click on a Greek word for morphology & lexicon, and put that window to the side. Click "Configure display" (at top) and select "Unicode with pre-combined accents"
Perseus - type in the start of the word without accents and "h" for harsh breathing, eg "huos"
Diogenes is a free program for PC & Macs which reads TLG and other texts in Beta code. This will also read the PHI7 CD containing the Duke Databank of Papyri and Greek inscriptions. There have been and are many other programs which do this but Diogenes has one great advantage - it now includes the full LSJ Greek lexicon as part of the installation, for instant lookups, plus Perseus' Greek morphology (and Latin facilities for the PHI5 CD of Latin inscriptions). You can use the Lexicon and morphology facilities without the data CDs. Download Diogenes for Mac (instructions) or for PC (instructions). Click on "Edit: Preferences" - set "How to present Perseus data" to "Pop up"
Change to Unicode when typing a Greek word, otherwise it will look up Latin words. All of the above work best with Unicode fonts. Your computer already has rudimentary Unicode Greek but lacks accents and breathing. Install the Tyndale Unicode Kit - free, easy, fully configurable, and now with added help. This gives you the wonderful Cardo font, with academic Greek, Hebrew and Transliteration. For the best web experience, set your browser to Cardo. Greek Authors on the Web - collects links from all over. Some are dead. Internet Classics Archive - a well-organised collection. There are lots more texts 'out there' which aren't listed, and Google is the best help for finding them. Hint: Search for proper names which occur in the text, or rare words. If you find that a link to a translation no longer goes anywhere, don't panic. Paste the link into the WayBackMachine at Archive.org and it is often there.